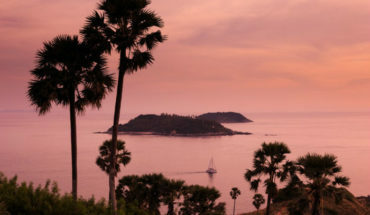 Phuket is home to an array of nature’s wonders…join us as we explore the sights and sounds of these natural attractions! 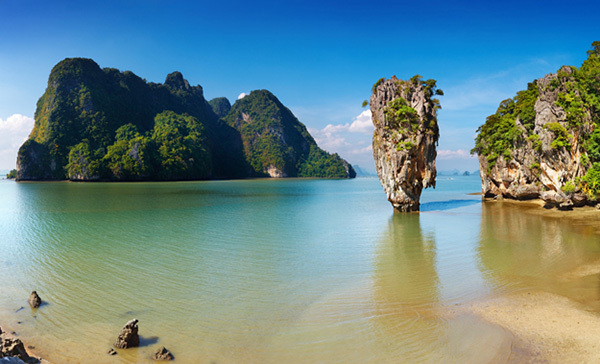 Phang Nga Bay is famously distinguished by its magnificent yet humbling limestone cliffs, which are a renowned characteristic feature of the coast of Thailand. 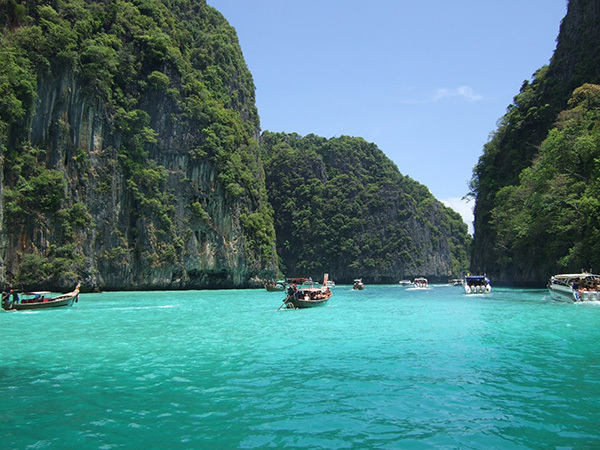 Home to an abundance of secluded beaches, caves, and lagoons, a day trip to Phang Nga Bay is a must, in order to discover it’s true natural beauty and to escape the crowds of the mainland. There are a variety of sailings tours for you to choose from that will usually provide you transport to and from where their boats are docked. 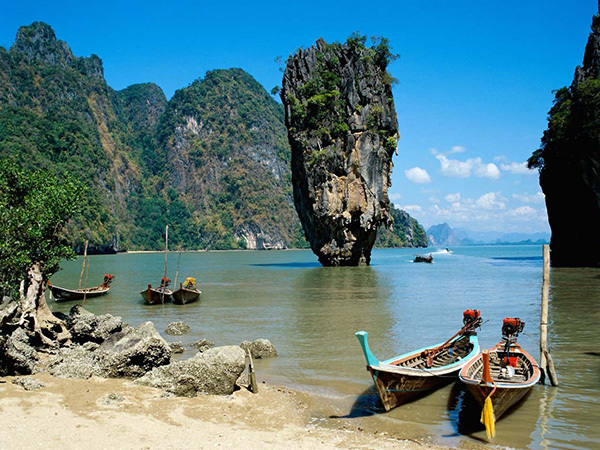 One of the more famous landmarks in Phang Nga Bay is James Bond Island. As suggested by the name, this is where the 1974 James Bond movie, ‘The Man with the Golden Gun’, was filmed. Distinctively very wide at the top and narrow at the bottom, James Bond Island is under national park protection, so it can only be admired from afar in a boat, or on the small beach found on Koh Ping Ghan. It will definitely leave you wondering how such a monstrosity manages to precariously stay in such a magnificently upright position amongst the more seemingly stable rock formations. 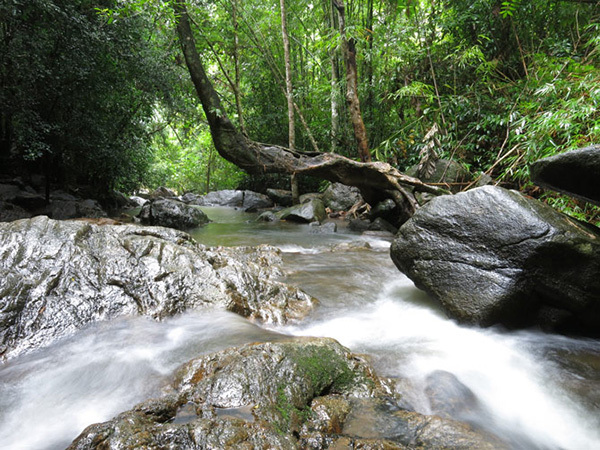 Within Phang Nga, there are a number of sea kayaking and canoe tours available. However, the most exceptional experience is provided by John Gray’s Sea Canoe. On the ‘Day in the Islands’ tour, you will explore at least three remote islands with John Gray’s experienced crew and guides to accompany you on this wondrous tour. A tasty traditional Thai meal is also provided. There is also a night tour, which is called ‘Hong by Starlight’. The Guardian has described it as “a spiritual experience”. Not only do you explore the caves, (or ‘hongs’ as they are fondly called), but you also get to make and release your own ‘kratong’ (a candle with incense wrapped in banana leaves and flowers) as part of the Thai Water Festival, ‘Loi Krathong’. Watching your hand-made candle bobbing along the water away from you in the dead of night, while you are surrounded by a blanket of stars above is truly a magical experience. Bang Pae Waterfall is located very close to the Gibbon Rehabilitation Centre, and the fee to this attraction is included in the park entry ticket. Therefore, whilst you are in the area, definitely go to this waterfall. However, be sure to do both the Bang Pae Waterfall and the Gibbon Rehabilitation Project on the same day in order to avoid paying the admission fee twice, as you have to pay every time you enter. Although not spectacular in height, the ten to fifteen minute climb through the jungle to the waterfall is breathtaking, where a variety of flora and fauna can be seen. During high season, there will not be much water coming from the waterfall. Still, feel free to take a plunge in the clear pool of water below the waterfall as a refreshing dip. On your way out of the waterfall and in need of something to eat, look out for the Thai restaurant called “Bang Pae Seafood” on the right hand side that sits on the pond. It is relatively well hidden with only a small sign in Thai on the outside. 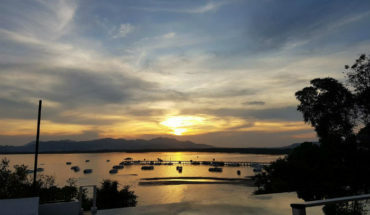 This restaurant has friendly staff that serves local treats and specialties true to its authentic taste, and a variety of seafood is available served to the utmost perfection. Although a very basic restaurant in itself, the setting is beautiful and perfect for a laid back lunch, as it is on the edge of the mangroves with the open sea in the background. 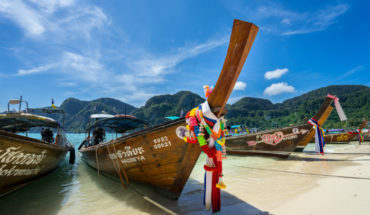 It’s Siam Safari time in Phuket!